Christmas is almost here, and while I am very thankful for the addition of two sweet babies to our family, I feel a familiar grief. I miss my parents and other family members who are not longer with us. While my grief isn’t acute, it is there nonetheless. Some days grief manifests in waves of nostalgia. At other times, it brings tears. Grief isn’t always about death. Sometimes, grief is related to an ongoing situation, a difficult relationship, or memories of past holidays that were less than wonderful. No matter the source of grief, it is real. 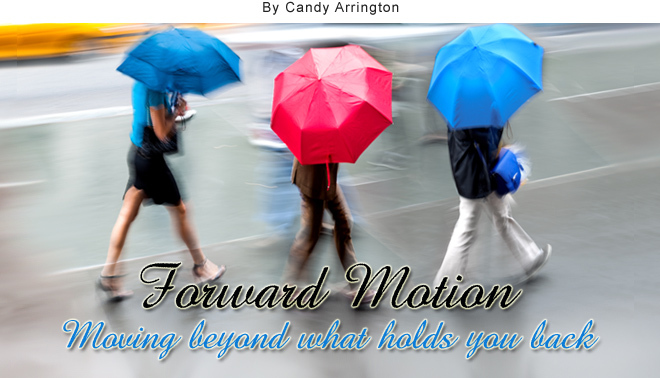 So how do you move forward with holiday festivities when grief threatens to hold you back? Acknowledge grief – For whatever reason, many have the idea that grief shouldn’t be expressed. We’re taught to maintain a “stiff upper lip” and “soldier on.” But grief can’t always be ignored or pushed aside, and it shouldn’t be. Grief demands attention. It is not a sign of weakness and it is an integral part of processing loss. It’s OK to say the name of the loved one you miss, shed tears, and reminisce. It’s also acceptable to admit a difficult situation makes Christmas hard this year. Don’t pretend – Sometimes those who are grieving put unrealistic expectations on themselves. They plaster on a fake smile, act like everything is fine, and pretend grieving has no impact on them during the holidays. This only adds stress and makes you more aware of your loss. Do what you are able to, but don’t pretend all is well when it isn’t. Enjoy nostalgia – When I cleaned out my parent’s house, I knew my son was moving in so I left some of Mama’s treasured Christmas items stored there. Although my mother died seven years ago, this year, I miss her a lot and I wanted things nearby that remind me of her and of Christmases with her. 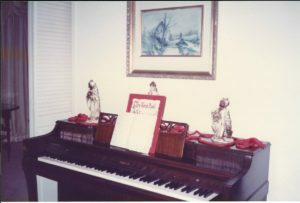 I called my son, and a few days later, the wise men who always decorated Mama’s piano, the manger scene that appeared in my childhood bedroom each Christmas, the twirling porcelain angel that adorned the living room mantel, and several Santa Clauses came to live at my house. Somehow seeing all these reminders of happy Christmases past eases my grief. Focus on positives – While it’s appropriate and necessary to acknowledge and experience grief, don’t allow grief to rob you of positive aspects of the present. This year is the first Christmas for our two precious grandbabies. Sadness evaporates when juxtaposed against the joy of celebrating Christmas with these little ones. Finding positives in your situation may take some work, but remain open and expectant for joy in the midst of grief. Think about the promise of what comes next – Grief is a journey and the promise in knowing that is realizing that while you may be traversing rough terrain at the moment, leveler ground and your destination is ahead. Just as seasons change, so your grief will moderate. The process of grief may not happen as fast as you’d like, but be patient. Accept the kindnesses of others. Look for ways God is providing comfort, inspiration, and support and hold fast to the promise that tomorrow brings hope and joy. Don’t allow grief to rob you of positive aspects of the present. Just as seasons change, so your grief will moderate.